AWS IAM stands for AWS Identity and Access Management. 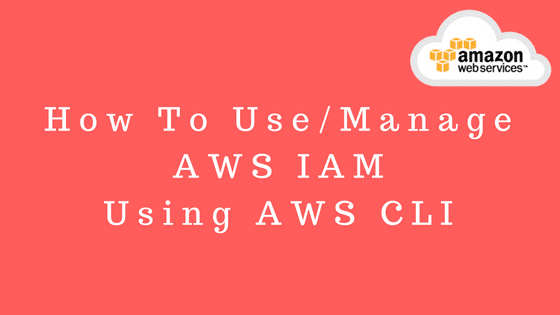 We will see here how we can create IAM Users and IAM Groups using AWS CLI commands. This is very important service which help us to manage and deploy AWS infrastructure securely. 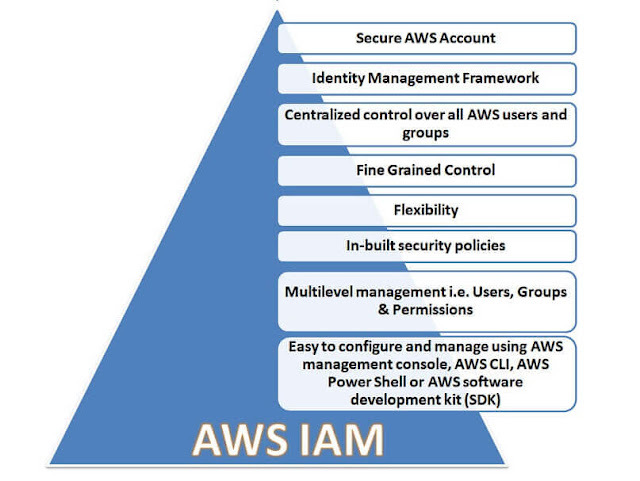 We can create users and groups using IAM and set them permissions to allow or deny them to specific AWS resources. This command will list all users present in our AWS account. Root account is used to setup an AWS subscription when you first time create your AWS account. You can sign in to AWS account using root account username and password. These are regular IAM user by which you can provide these user to sign' in to your AWS account with specific permissions and controls to access AWS resources to manage AWS account securely. Lets see how to create users IAM group. The IAM user group is collection of IAM users. If number of users needs similar permissions then we can create a group and assign them rather than granting these permissions to each users. Also one user can be part of multiple groups and note one thing that AWS IAM groups can not be nested. Here we have just created 'pggroup' group and now lets add user to that group. After this command executed the user 'pgtestuser' will be assigned to group 'pggroup'. We can verify this from AWS console management from IAM Group menu. There are three types of authentication methods provided by AWS. Before that first assign username and password to this user by using command below. API stands for Application programming interface. API keys allows other program or script to login within our AWS cloud programatically and interact with AWS resources. So using API Access Key other program or script can access resources. Lets see how we can setup or create this API access key using CLI for a specific user. Please make note that, it is essentials to store the key details in safe location for future usage, because the key details is only available while creation of these keys. In case if you loose the key, it is recommended to delete old key set and create new. Lets see how to delete access keys. You can get user access key id from AWS console management. Note, one user can have multiple access keys and it is not mandatory to delete old key before creating new but this is not recommended approach. Lets verify key details by opening key.txt file using any editor. Once you enter this command, it will display key details. Also you can verify it from AWS management console.